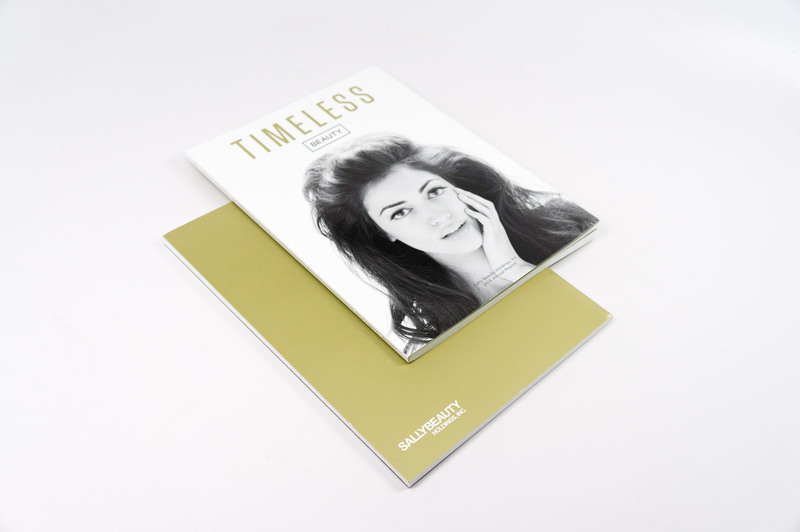 For the last four years, Caliber has had the pleasure of working with Sally Beauty Holdings on designing their annual reports. Though the use of playful photography and bold statements, Caliber created an annual report for Sally Beauty Holdings that embodies the spirit of the modern beauty consumer–empowered and unique. Building upon the work we’ve done with Sally Beauty Holdings over the last two years, Caliber was able to keep the momentum alive and elevate this year’s report to a whole new level. Through the narrative of a large-scale photo shoot, SBH’s highlights for the previous year are told with class and a little touch of moxie. 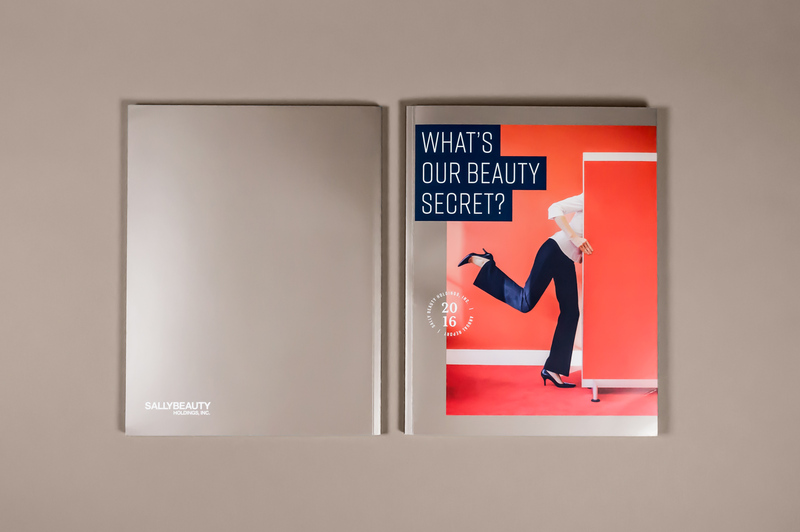 Caliber was lucky to pair up again with Sally Beauty Holdings for their 2014 Annual Report. Similar to what we did in 2013, we took an editorial approach with the layout, highlighting key photography taken at a custom shoot. The result is a unique and memorable book that highlights Sally Beauty Holdings’ 50 years of success. To fit that theme, Caliber tapped into timeless beauty using black and white photography and gold as the accent color throughout the book. The result was something both sides could be proud of, showing off 50 years of looking fabulous.